Often, clients come to me with no idea how to take their first steps in developing their own presence on the web. There are so many choices available that even registering a domain name can be confusing. And, of course, it is very important to get things right from the outset. My initial brief here was just a single holding page for The Beat Goes On charity’s domain name. But we can do better than that! 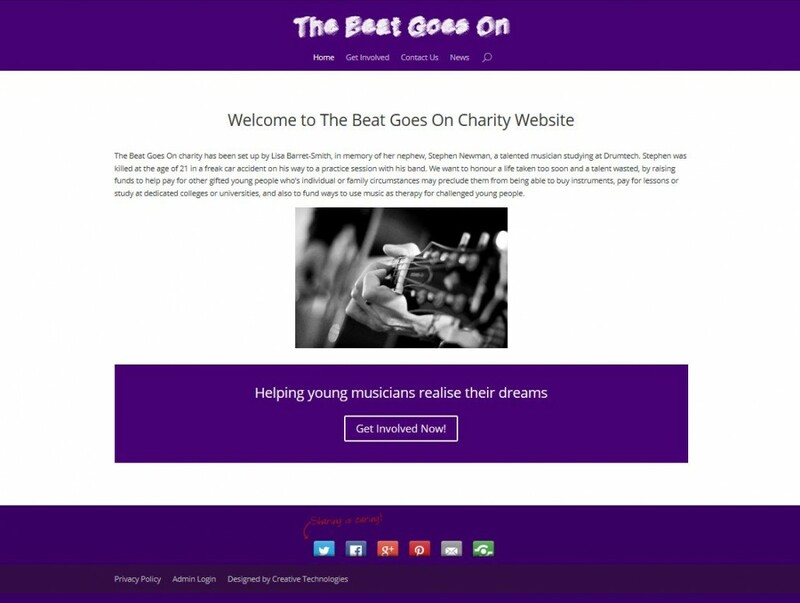 As this is such a great cause, I offered to provide a simple, fully functional website, complete with a punchy, responsive design and full content management system with social network integration, for the same small cost as a single page. In this way, the charity can develop it’s web presence and social networking with ease, as and when it required. Why not visit the website now, to learn what this great charity is all about?! 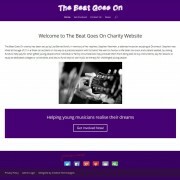 All copyright for The Beat Goes On website is owned by Lisa Barret-Smith. I needed a web page for our charity domain name, and asked Mat Mackenzie if he could do something at short notice. As it went, he actually put a complete website together, and very quickly and efficiently. I would have no hesitation in recommending him to any companies looking for a website designer.